Shoe Covers 5852 Convertors Premium Shoe Covers - Iteleti - Shop+Buy=Ship...For All Your Medical Equip! Shoe Covers 5852 Convertors Premium Shoe Covers are Extra Strong. 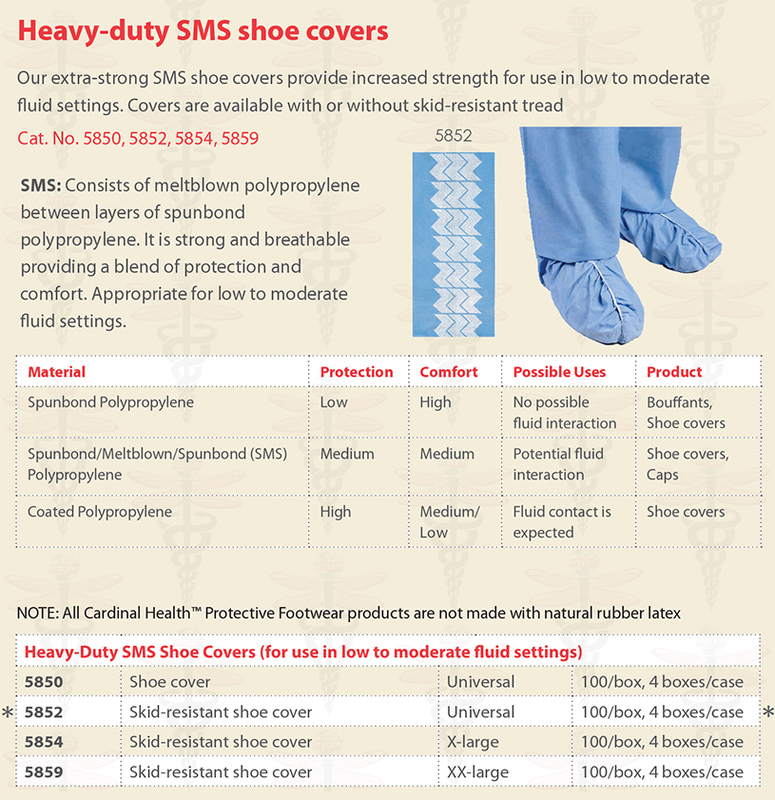 These Heavy-Duty SMS Shoe Covers provide increased strength for use in low to moderate fluid settings. Using the photo on the left for reference, one should note that these are the Shoe Covers 5852, which have skid-resistant tread. The Shoe Covers 5850 do not have non-skid. However, both models are Universal Size, also known as one size fits all or one size fits most. All the Convertors Shoe Covers by Cardinal Health are the Color Blue. Answer: SMS Consists of meltblown Polypropylene between layers of spunbond polypropylene. It is strong and breathable, providing a blend of protection and comfort. Appropriate for low to moderate fluid settings. 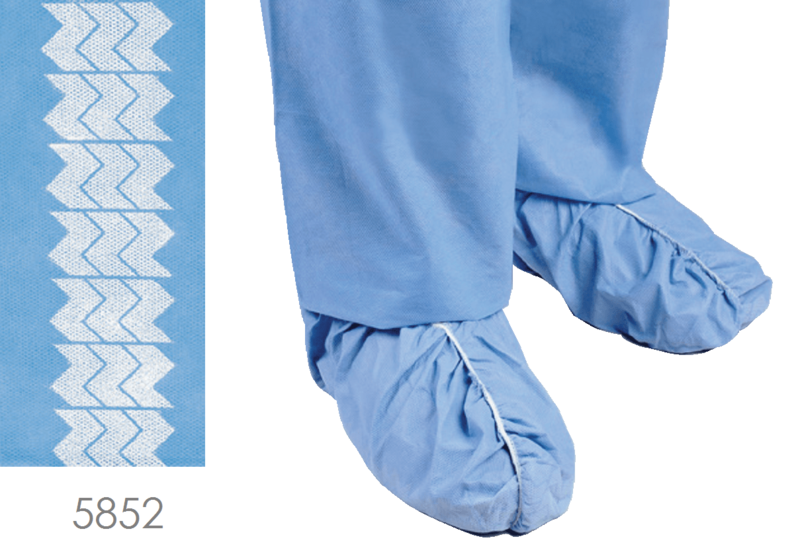 These 5852 Fluid-Resistant SMS Shoe Covers, Skid-Resistant Tread (Universal) are constructed of materials ranging from basic spunbonded polypropylene to polyethylene-coated SMS to accommodate a wide range of intended uses. The Dura-Trac shoe cover is constructed of poly-film, which helps minimize lint and enhance environment cleanliness. Excellent anti-skid protection makes this shoe cover ideal for the challenges of dry and wet conditions.